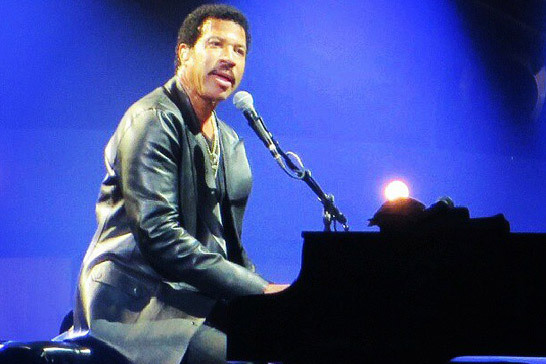 Veteran Lionel Richie is officially the first artist to be announced for the Glastonbury 2015 Festival in the United Kingdom. The release of Richie as the first artist comes in the light of the classic artist route Glastonbury is taking on. The world’s most famous festival has given the limelight to singers which include Tom Jones and Neil Diamond over the years, and most recently Dolly Parton, who headlined the Pyramid stage at last year’s event, pleasing many festival goers and a large scale BBC TV audience. For Dolly Parton, this propelled her career once more, giving her a huge career in the UK once again, with a number 2 album in Blue Smoke, which still sells 6 months after release. Glastonbury will continue to roll out a line up for its 2015 edition, which sold out in a record breaking 26 minutes earlier this year. The festival which is held in Somerset, England, attracts music lovers from all over the world, offering a range of contemporary and classic art and music. The festival is also planning to take on a new concept which includes a stage made of recycled military hardware. This stage will include aeroplane jet engines and helicopter blades. The idea is to create a stage that combines creative recycling, pyrotechnics, acrobatics, lighting and of course, music – giving the festival a new eco-audio/visual spectacle. Glastonbury are currently in talks with material suppliers Metals4U regarding the ideas and how they can turn them into a reality, with the importance of recycling at the forefront of the conversation. However, don’t expect to see Lionel Richie on this stage – it will play host to EDM and the world’s biggest DJ’s. Currently huge DJ’s like Skrillex, Disclosure and Fat Boy Slim have flown the flag for dance music at Glastonbury.